First off, happy new year all! I apologise for my recent absence and lack of frequent posting - the last few weeks of 2013 were spent working on myself and my headspace, which meant a time of spent at home wallowing when I wasn't at work earning a living. Suffice it to say, I feel I ended 2013 on a positive note, and eagerly looked forward to bringing the positivity through to 2014. One of my 'resolutions' , if you want to call it that, has been to budget my finances better... which has also meant a cut down in the amount I eat out, unfortunately! That does not mean I've lost my appetite for good food, however, if anything I am even more determined to make every meal count! About a month ago, upon Little Piggy's suggestion, the girls and I headed down to Richmond for some contemporary Izakaya style dining. Particularly noteworthy was the wooden-styled interior, with overhanging tops shelves dressed in thick ropes and lined with empty Japanese beer bottles, which made you feel like you were entering some sort of pirate ship. We were led through the quaint front dining area and up a set of creaky wooden stairs, enclosed by shabby walls and fitted with fluorescent lighting - yet the aromas of a fiery BBQ grill filled that led up into the smoke-filled upstairs dining area left a promising first impression. 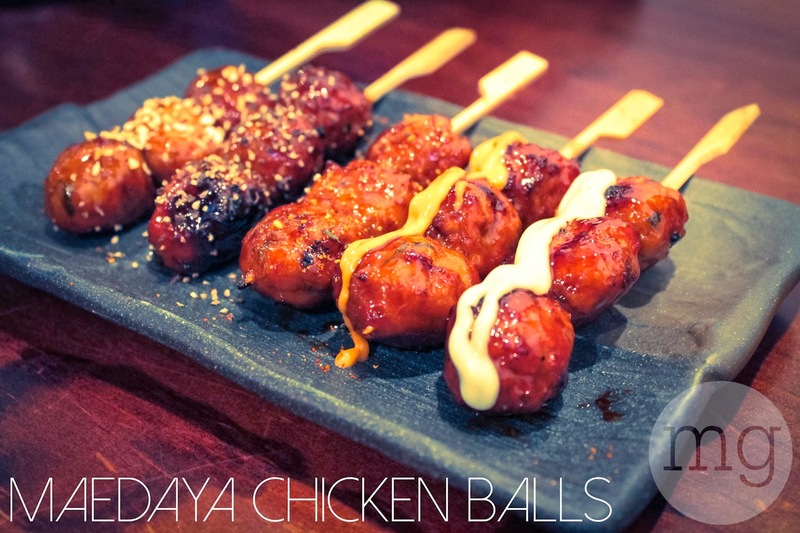 We chose the edamame and these fantastic little chicken ball skewers as our starters. Coated in deliciously tangy glazes ranging from spicy mayo to garlic and chill pepper, these little chicken balls were the perfect mouth-popping bite size. 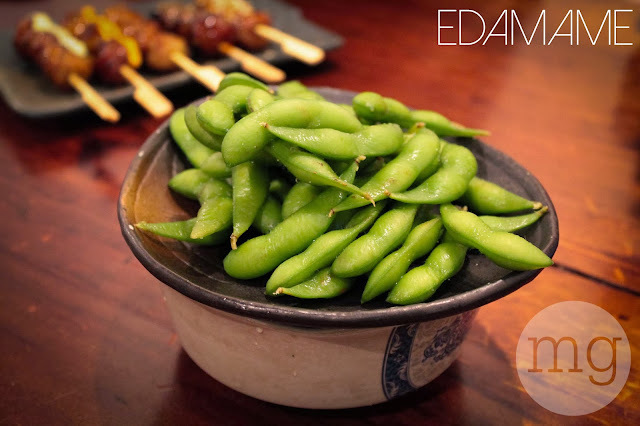 The traditional edamame was also very well-seasoned and popped open with ease. 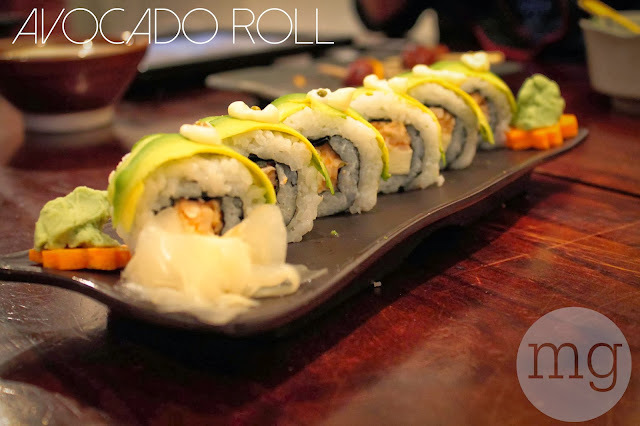 Ever the fan of avocado rolls, I was impressed as usual by the beautiful presentation coupled with the soft textures of the rice and the tofu. My only issue with the sushi and sashimi menu was its lack of variety - the tofu & avocado roll was about as appetising as it got. However, I suppose this meant we would be more inclined to try some different dishes off the menu. 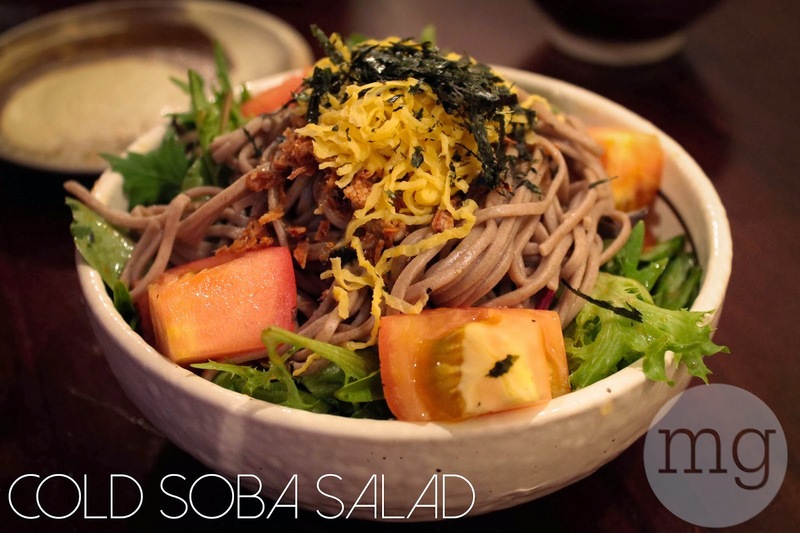 This cool, soba salad was refreshingly light and one of the cleaner dishes we ordered. The tender noodles went down a treat and topped off the dish as an all-rounder, enjoyed by all at the table. 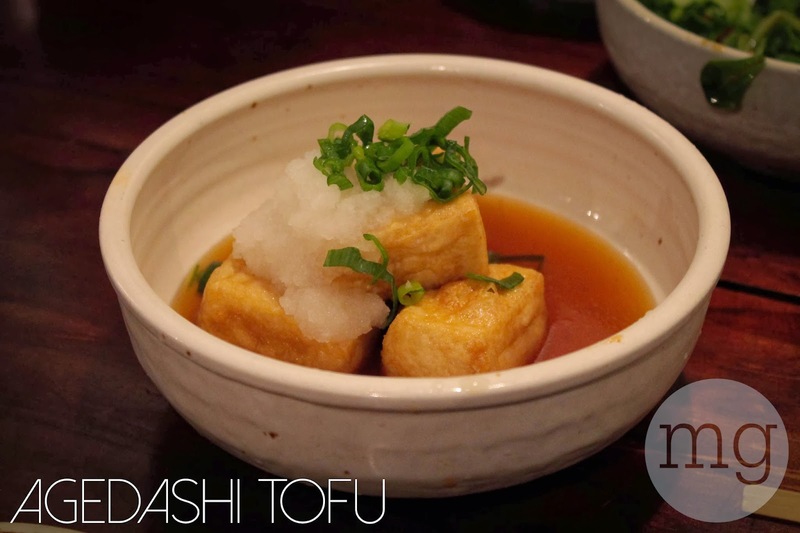 As much as I love my tofu, I wasn't sold on the agedashi - the tofu was too tender and I felt the broth lacked a soy tanginess. 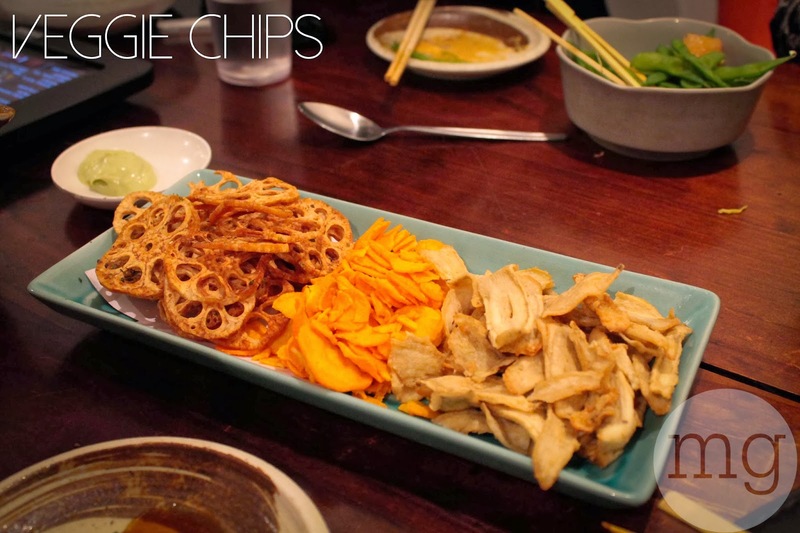 In a similar vein, I was expecting a bit more of a salty crunch with the veggie chips. 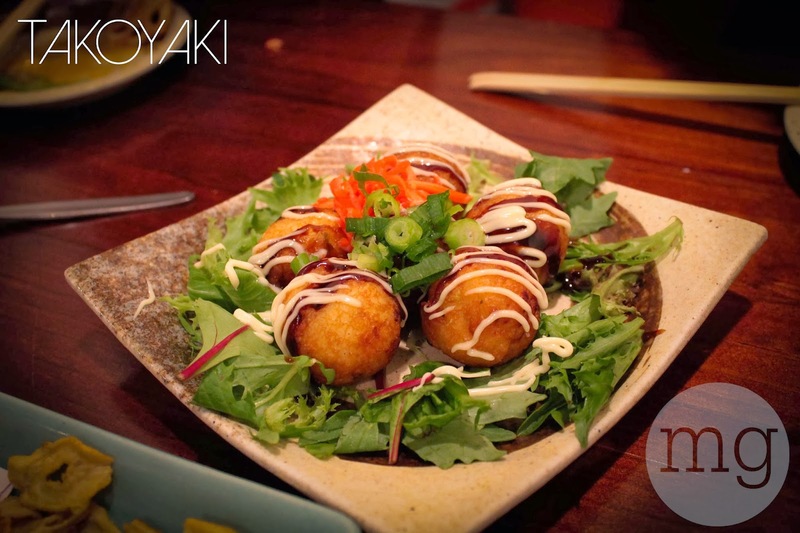 But these takoyaki octopus balls were dressed with a lovely kewpie mayo and had a drool-worthy crunchy exterior which opened up to a soft mashy interior. Just like the chicken balls, once you popped it was difficult to stop. The yakibuta felt more like it was pig fat that actual meat, and given the meat was beautiful cooked and tender sweet, I was a bit disappointed by this. But the finale was definitely a success. 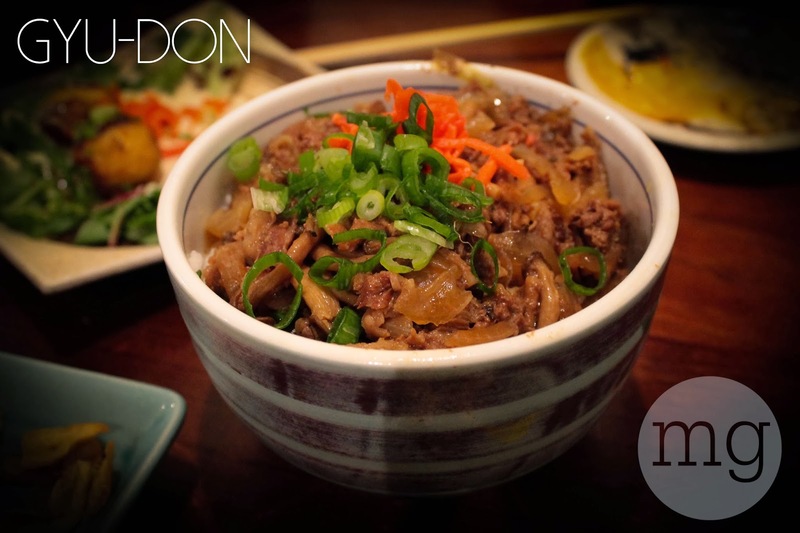 The gyu-don was served as a bowl of tenderised beef and onion pieces that had been cooked in a sweet broth, that seeped into the bed of soft, fluffy, white rice beneath. 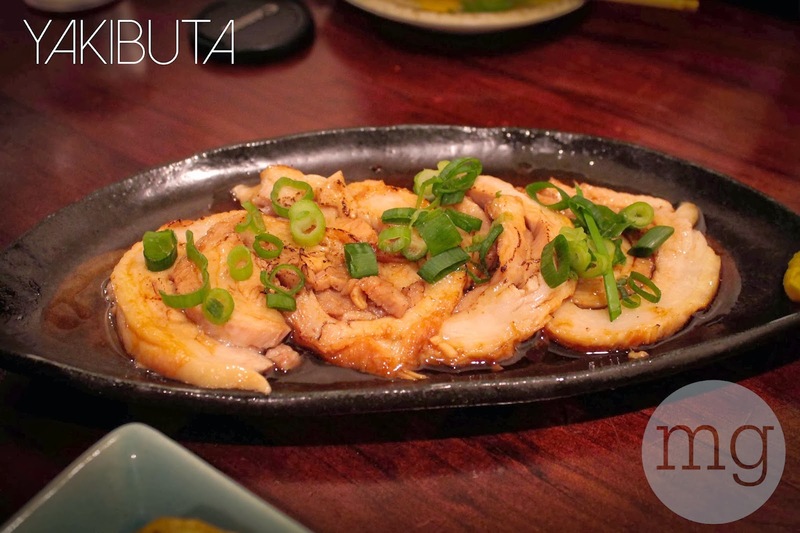 It was seasoned with bits of ginger and spring onion, making each mouthful delightfully textured and extremely tasteful. 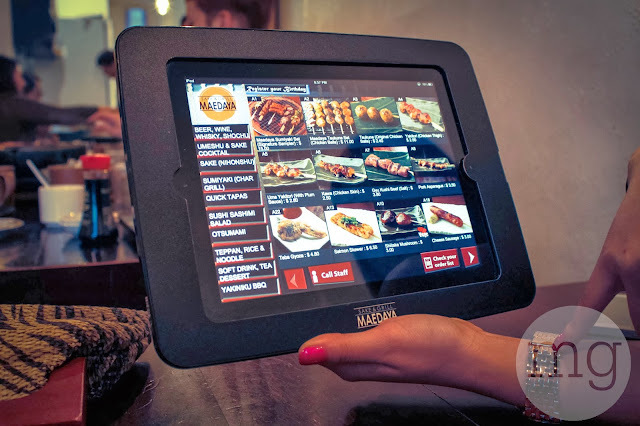 The taste of Japan is making itself more and more marked in Melbourne, with new restaurants popping up all over the place. 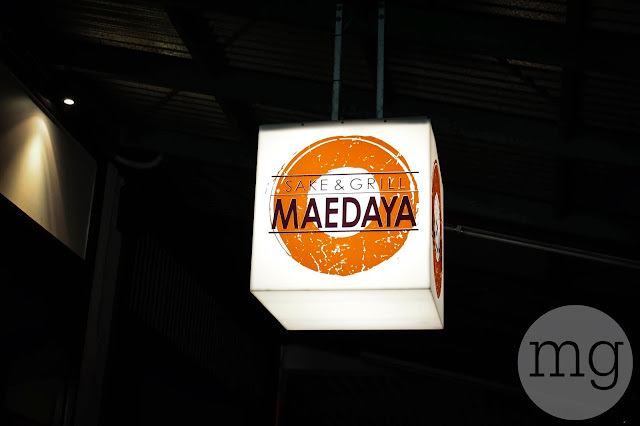 The sheer simplicity of Maedaya's domestic-theme leaves it all up to the flavours of the dishes; and they definitely deliver! Judging by the 45 minute wait we had to endure before hand, I'd say you best get on it...quickly!